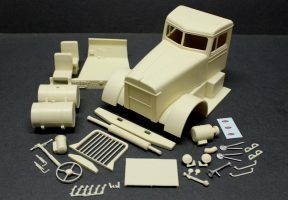 This month we have an awesome new conversion kit for all the logging truck fans out there. 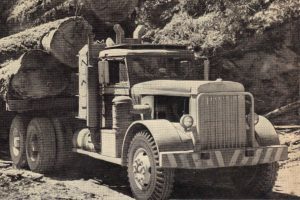 It is the 1950 Peterbilt 380 logger. It features a heavy duty grille guard and a rooftop walkway as well as some great looking barrel style fuel tanks. Pair this conversion kit with your favorite set of heavy duty wheels and tires to make the ultimate logging truck! Click the photos to see the product page with all the details and to purchase one for your next logging truck project. You can use any long frame conventional truck model for a donor chassis.